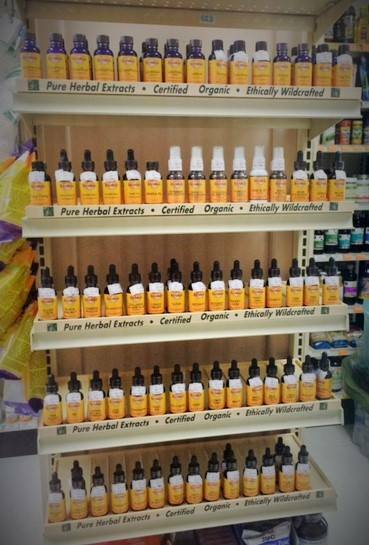 We are proud to add essential oils and a full line of herbal extracts and tinctures to our Betsy’s Basics line of products. At Betsy’s Health Foods, we are proud to carry a large variety of brand-name, quality products that meet the full spectrum of people’s health needs. But, we are equally proud to carry our own quality label, Betsy’s Basics. Here are just 5 of the many reasons why the Betsy’s Basics line is worthy of your consideration. We understand that it is often difficult to decide which products and supplement brand can best help you achieve optimal health. You rely upon our experience and high standards to help guide you. That’s why we put our knowledge to good use in choosing our Betsy’s Basics product line. Here are just some of the reasons why Betsy’s Basics products stand proudly with our national brands to offer you supplements that are at affordable prices and a great value to you. Raw material sampling, identification, and analysis, including microbiological analysis for pathogens, total plate counts, etc. Tablet and capsule manufacturing that requires the use of two people for weighing active ingredients and excipients to ensure accuracy, Quality Assurance inspection of rooms and equipment prior to manufacture, in-process sampling and testing every 30 minutes for compliance with weight, hardness, thickness and physical strength, maintaining production logs of all activities, etc. Our products have been formulated according to the latest information the growing body of science on supplements has to offer. In some cases, this science comes in the form of patented or trademarked ingredients. There are more than 50 of these special ingredients in the Betsy’s Basics line. In other instances, our products have been formulated based on an herbalist’s more than 17 years in clinical practice, where science meets practical experience. Since not every product has all of these attributes, please allow our educated staff to lead you to the products that meet your certification and attribute needs. By searching for well-tested, quality products, the Betsy’s Team is confident that our Betsy’s Basics line offers a premium value for an affordable price. The popularity of our Betsy’s Basics products leads us to believe that you agree.